Start the Brewer Software. The Brewer should launch communication. After establishing communication you can see status – “Reply” in the left corner of the Brewer software window. In order for the Brewer to operate it must receive AC power to its main AC-DC power supply. The AC power cable is connected to the azimuth tracker and then from the tracker to the spectrophotometer by an external cable. There are three points to be checked: the power on-off switch, the green LED indicator on the Brewer and the fuses for the power supply. 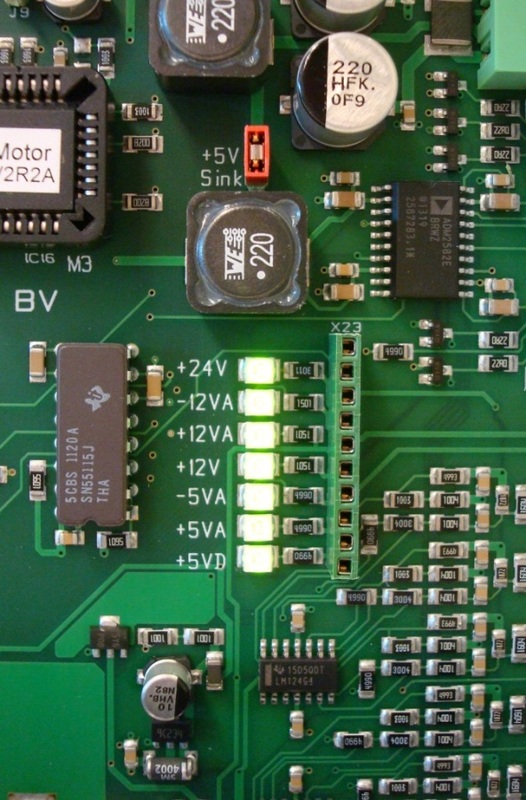 If the green LED on the Brewer is illuminated, then there is power to the instrument, and the main power supply is producing +5 VDC. If the LED is not illuminated, it may be that the LED is faulty. Switch off the power, remove the Brewer cover and check if the main power supply cover feels warmer than the ambient temperature. If this cover feels slightly warmer, the LED is faulty. If not, AC power is not reaching the power supply. In this case, the AC power source should be checked at the AC outlet and the end-to-end continuity of the power cable tested. The AC power should then be connected directly to the Brewer, bypassing the azimuth tracker. If the main power supply cover is still not warm, then perhaps the power switch is defective, or a fuse requires replacement. 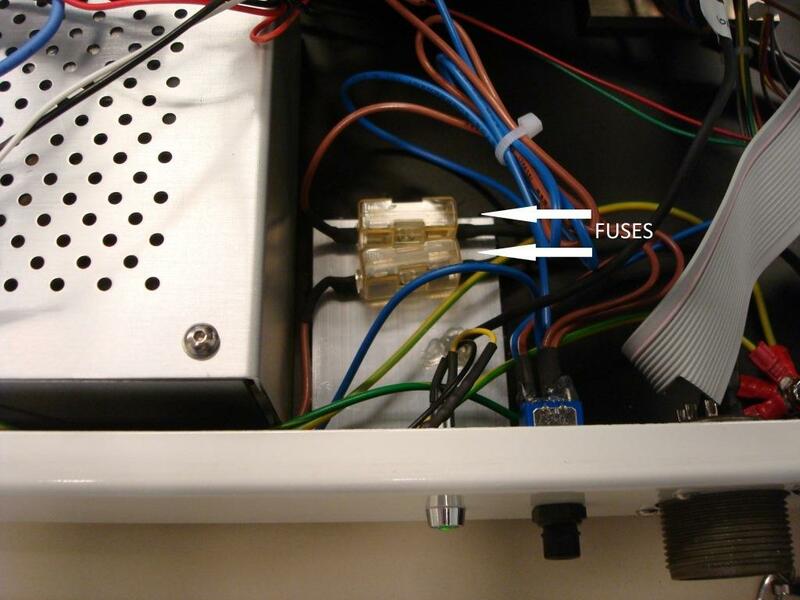 With power disconnected, use an Ohmmeter to confirm that the switch is functional, and check the two fuses (Picture (Figure) 1) next to the power supply cover, as indicated in the picture below. If a fuse needs replacement, ensure that AC power is disconnected, and replace the fuse with a spare of the correct type. 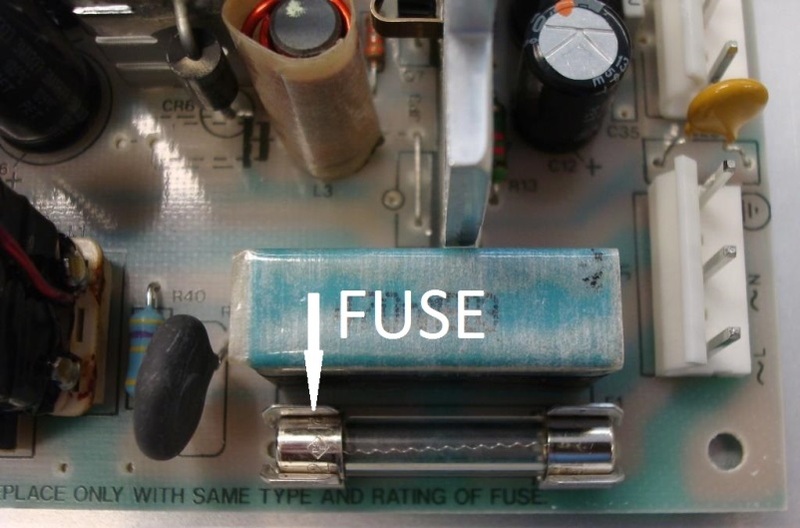 To check the fuse inside the power supply, disconnect AC power from the Brewer, remove the four main power supply cover screws, and check the fuse. Replace it if necessary. Please refer to Picture 2. When re-installing the cover, ensure that all the power supply connectors are firmly engaged and secured. If the switch and fuses are in good order there may be a fault in the power supply. 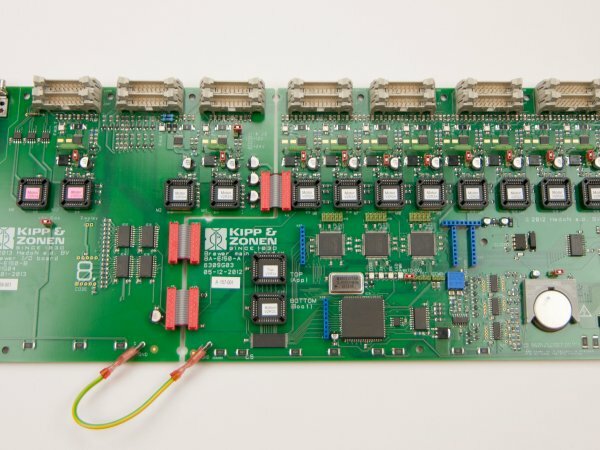 The main power supply DC output voltages can be checked at the test points on J23 of the main electronics board. Please refer to Picture 3. Refer to the table below for the correct voltages. Number 10 is the top pin. 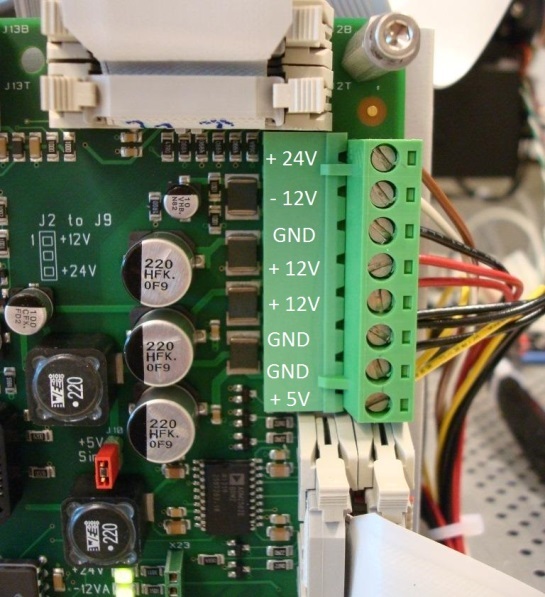 If it has been established that there is power at the Brewer, and the motors reset when power is switched on, but that there is no communication between the computer and the Brewer, follow the next steps. A software reset should be attempted after the “Brewer Failed to Respond” message appears on the computer monitor or if the computer has tried a number of times to establish contact with the Brewer and failed. The software reset is done by typing “ex” and pressing <Enter> key on the computer, or by (re)launching the Brewer software from the DOS prompt. If this fails to establish communications, the serial port may be latched and the computer should be given a powercycle. Confirm that the computer serial port is operating correctly by running a serial communications program such as RealTerm, Hyperterminal or PuTTy. Please note that HyperTerminal is included in Windows™ XP, but not in Windows™ 7. 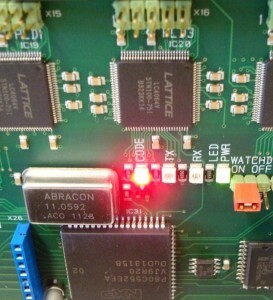 Make sure the serial port is set to 1200 baud, to full-duplex mode, and that the correct serial port has been selected. Refer to the communications program documentation for correct operation. 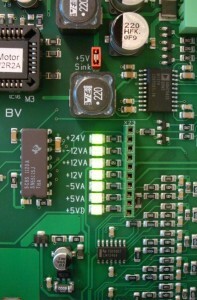 There is a Red status LED located in the centre of the main board. Exit the serial communications program and change to the subdirectory c:\bdata\nnn, where nnn – it is a Brewer number. Change the “brewcmd.ini” to the corresponding com-port and open “brewcmdw.exe”. Observe if the instrument has responded and note which mode is indicated. The program should display the same mode as indicated by the red status LED. Type ‘readlog <Enter>’ to display the past error history, each line displayed will be a possible clue to the problem that caused the failure. If motor failures have occurred, the status will tell you which motor, and what the failure was. Usually, it is a sensor problem, or a wiring problem, that prevents the motor from resetting. If no problems are displayed, then the system can be placed back into cosmac mode for further testing. Type ‘loadmode <Enter>’ and following the return of the confirmation ‘loadmode’ and the prompt, type ‘cosmacmode <Enter>’. The motors will reset and within a minute the system will display the status that it is in cosmac mode. Quit the Brewcmdw program by typing ‘quit <Enter>’. Run the Brewer operating program by opening “brewer.bat”. Check the correct operation of the instrument. Select routines that you are familiar with and ensure that all the functions and data appear normal. For help with Brewer problems and questions, for all models, please contact the Kipp & Zonen Brewer team by e-mail to Brewer@kippzonen.com. For spare parts you can also contact Services@kippzonen.com.